During week 7 of studying abroad, I had my normal classes in Paris during the week, and then headed to Budapest for a short weekend getaway! 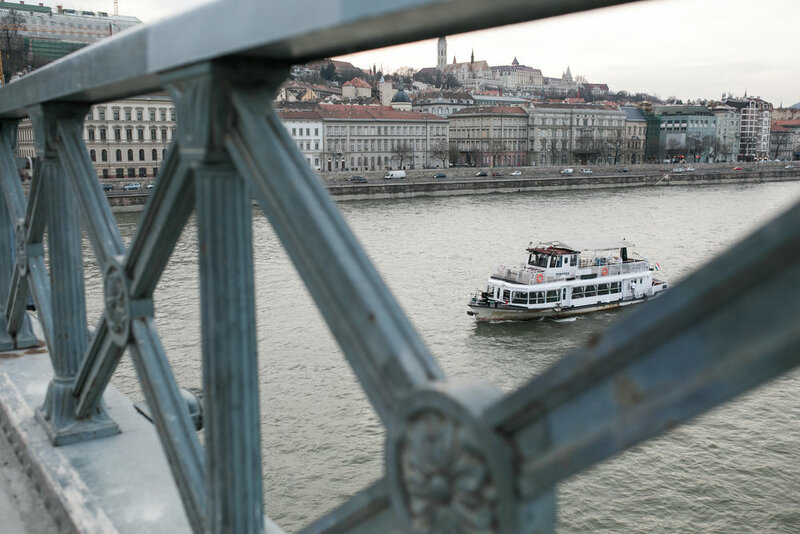 Budapest was a city that I had heard so much about, but didn’t know exactly what to expect. After spending just three short days there, it instantly became one of my favorite European cities that I’ve traveled to thus far! The weather was gorgeous, the sights were awesome, and the overall vibe of the city was so laid-back! One of the coolest things about Budapest is the thermal baths (see iPhone pictures below!) My boyfriend, Mark, and I visited the largest bath in Budapest, called Szechenyi Bath. We spent an entire afternoon trying out all 18 different pools and just swimming the day away. Another highlight was visiting the Szimpla Kert ruin pub! In Budapest, there are a bunch of really eclectic bars in old, abandoned buildings. They just random decorations everywhere, but it really all does come together to create a cohesive and unique vibe! The ruin pub also hosts a farmers’ market on Sunday mornings, so it was fun to experience Szimpla Kert during the daytime as well. One of our favorite things about Budapest was definitely the food! You can really get a *taste* for a city by sampling the local cuisine ;) Here were some of our favorite restaurants that we visited! Most: Paprika chicken & homemade noodles, pumpkin soup, and goulash! The best part of traveling with someone who likes the same food as you is that you can order more things that you want to try and share it all :P Mark and I definitely did that at Most and it was all so yummy! Bors GasztroBar: Okay, I literally had the best sandwich of my life here! A Star Wars themed take-away place with melted sandwiches, unique soups, and homemade sodas -- what more could you ask for?! If you are ever in Budapest, this place is a MUST! Retro Làngos Büfé: The popular Hungarian street food, langos, is a fried flatbread covered in savory or sweet toppings of your choosing. It’s the perfect snack after an afternoon of sight-seeing! Some other highlights include The Chain Bridge, Fisherman’s Bastion, and the Parliament building! I definitely did not have enough time in Budapest and already can’t wait to go back some day!